While brushing my teeth this morning, I noticed for the first time I had two mouthwash bottles near the sink with only one swig left in them. I wondered why I hadn’t finished them and decided it was possibly because I didn’t want to run out of mouthwash when I really needed it. Then I begin to think about the bottles of shampoo in my shower that are nearly gone. And the bottles and containers under the sink. Was this a new discovery for me? Not really. My husband used to ask me why I had so many bottles of shampoos, soaps and make up and I just laughed and told him that I like variety every day so I don’t get bored. Then I got to thinking a little deeper about that this morning as I brushed my teeth. Yes, I like variety and change. I like challenges and new things. I like to hang on to the remnants of something good as well. That could very well sum up my life. I have so many projects and ideas that I have begun but not finished. I have books almost written, and read, but not completed. I have projects thought out and planned but not finalized. I have goals set but not accomplished. Who would have thought that mouthwash could be so powerful? Not only did I finish the last of one of the bottles of mouthwash this morning, but I discovered the one reason why I am not able to move forward in some areas of my life. I am afraid. I don’t want to be left with an empty bottle and not have what I need when I need it. By hanging on to the last remnant of that mouthwash, I feel secure knowing it is available to me at any time. I am afraid of finishing a project because it means it is time to move on to something else. I may even be a little afraid of the success I will have with that completed project. I am lazy. Yes, lazy. I don’t want to finish that bottle because it would mean I would have to finish it and put it in the garbage. It is a simple process that I am avoiding but I am lazy and don’t want to finish. I am lazy about finishing a project because I think the final tasks will be too hard and I don’t want to make time to do them. I may be even a little lazy because I am selfish with my time and don’t want to work to serve others. I am hanging on. I am hanging on to the last swig of mouthwash because it will be there for me as long as I allow it to be. I know that by hanging on to it that I will always have it there. With my projects, I am hanging on to enjoying the process. I am hanging on to looking at and reviewing the project. I am hanging on to talking about it to others rather than finishing. 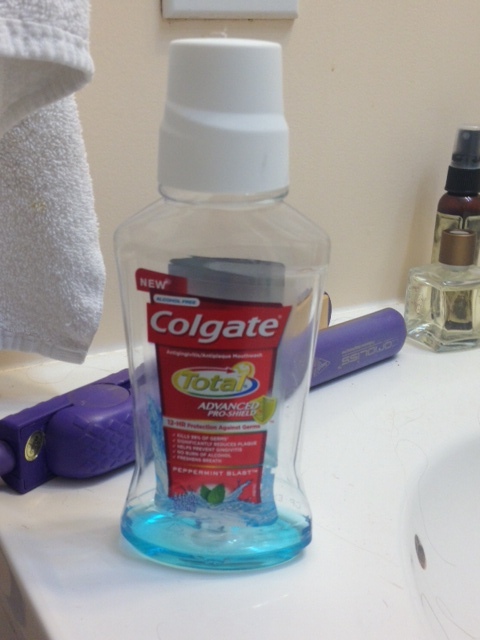 Seeing that almost empty bottle of mouthwash in the wee hours of the morning was an awakening for me. That almost empty bottle of mouthwash taught me that it was time to move on. It taught me not to be afraid of finishing something. It taught me not to be lazy. It taught me to let go. How many almost empty bottles do you have in your life? Decide today to empty one and move on. Decide today to finish it and let it go. Decide today to complete that part of your life so you can make room for something even greater. God has great plans for us but if we continue to hang on to those almost empty containers in our lives, there will be no room for His will. 1. Look around your bathroom and inside some cabinets for almost empty bottles. 2. Clean out one thing and finish it so you can toss the empty container. 3. Smile knowing you have rid yourself of something you have been hanging on to. 4. 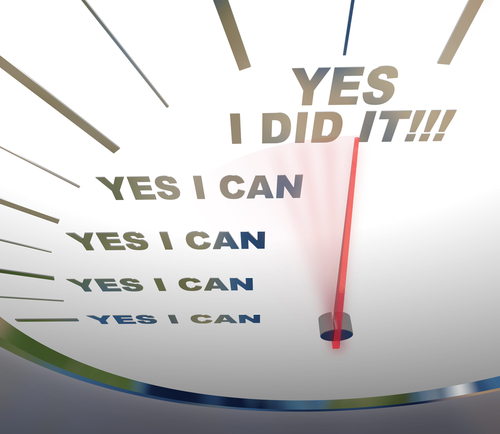 Now tackle an almost finished project you have been putting off and make today matter.